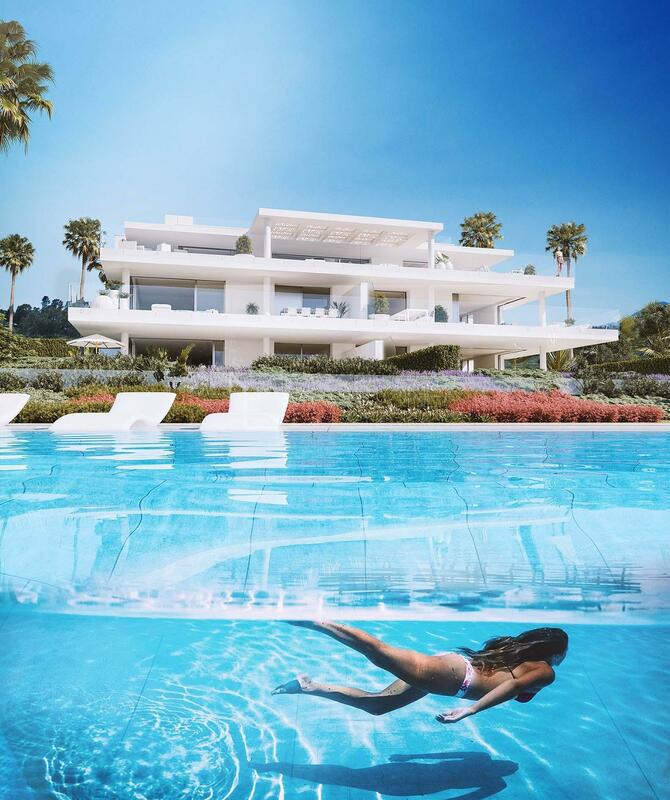 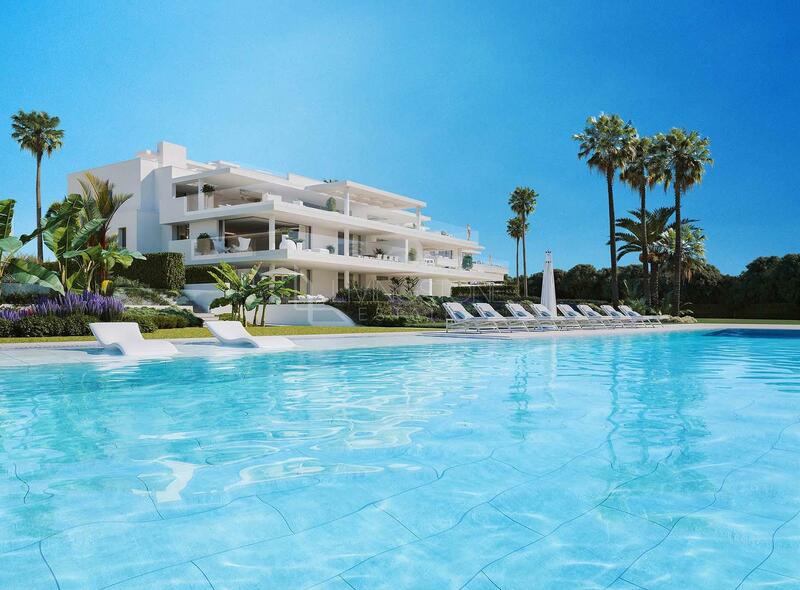 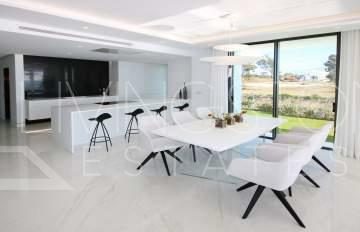 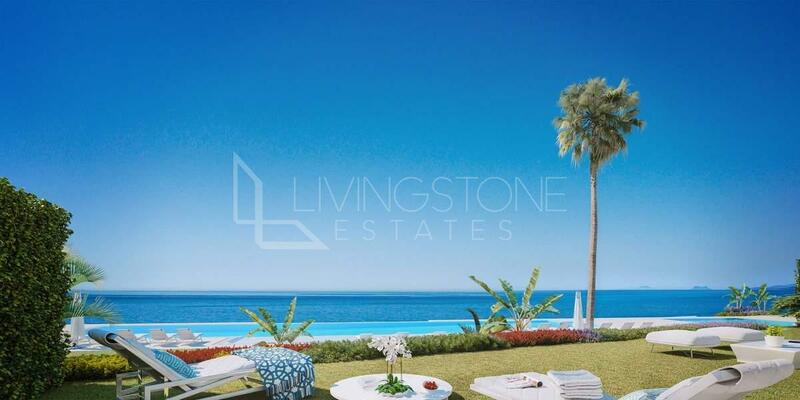 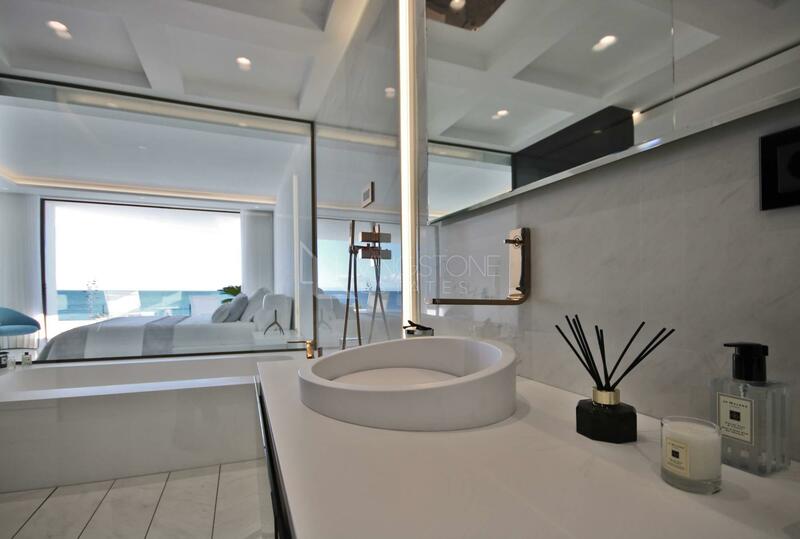 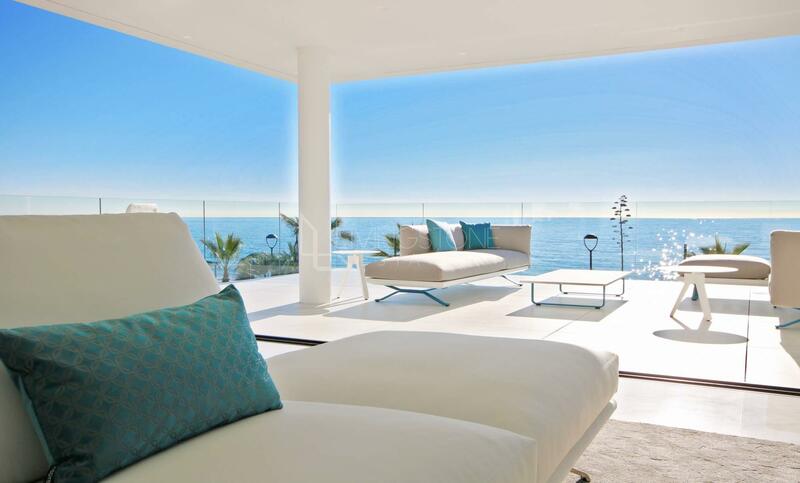 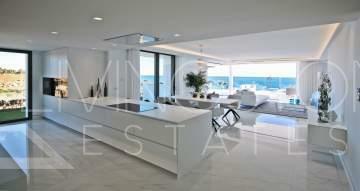 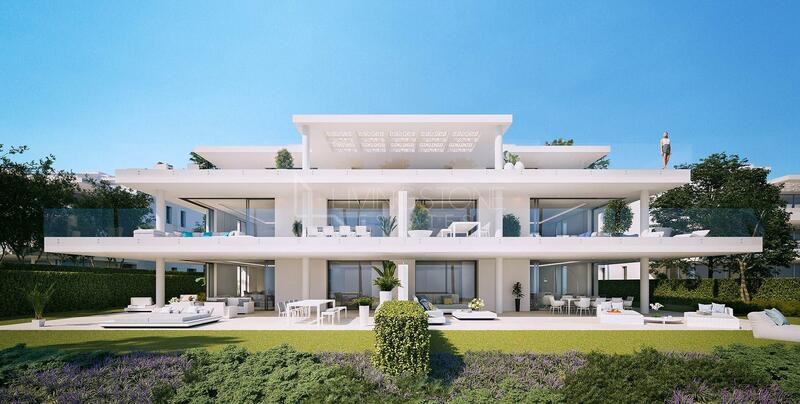 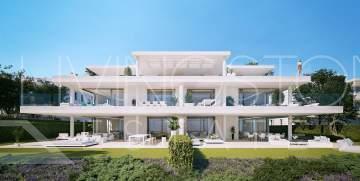 Luxury exclusive development with only 28 amazingly large 3 & 4 bedroom residences on the front line of the sea, New Golden mile, Estepona. 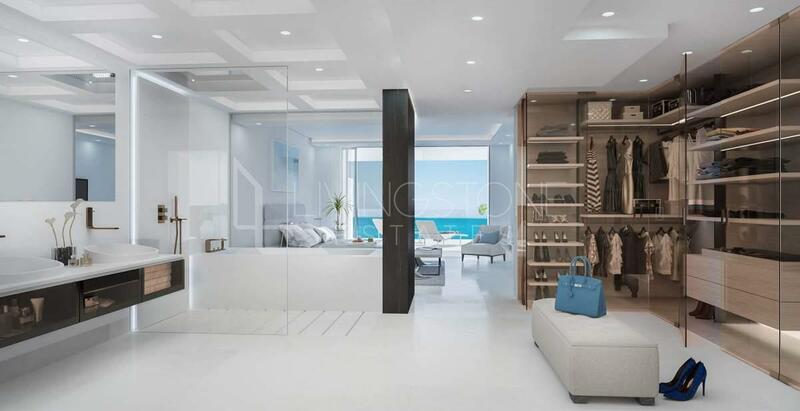 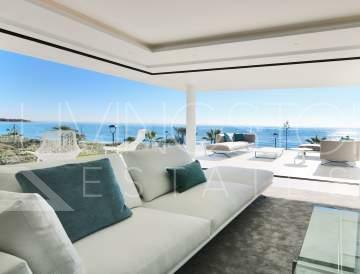 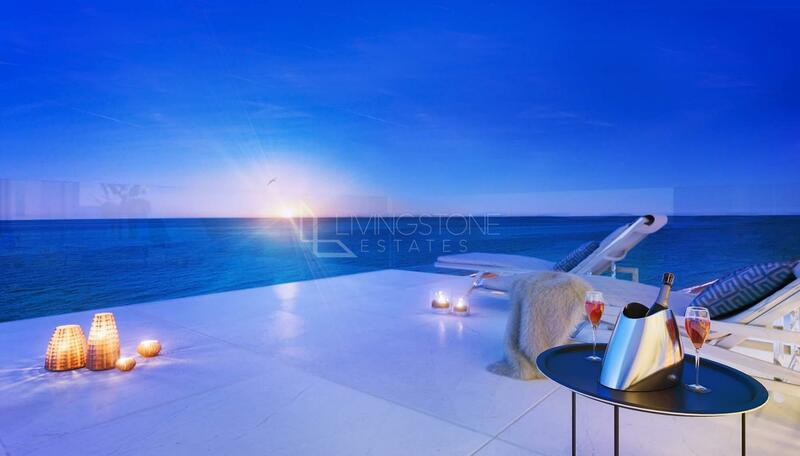 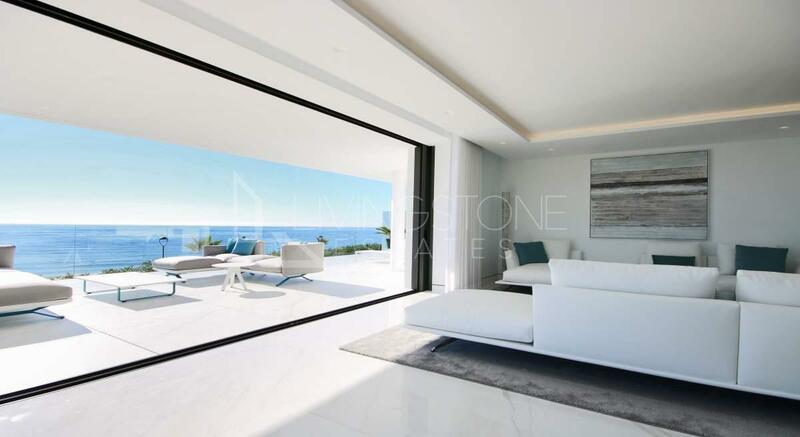 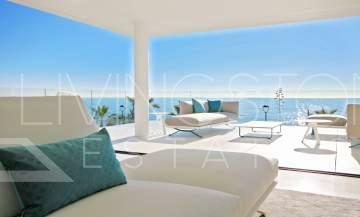 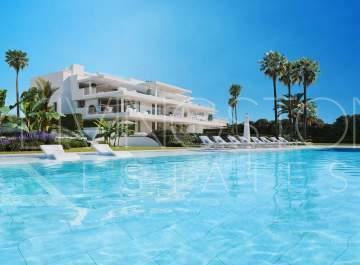 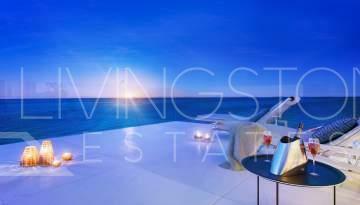 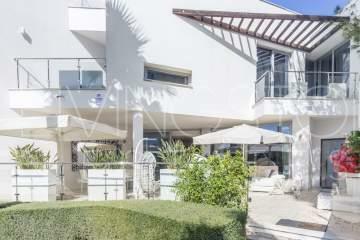 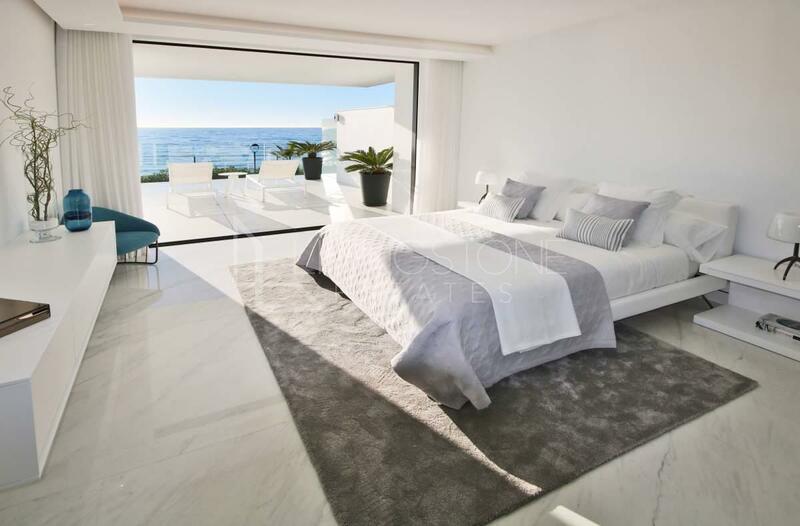 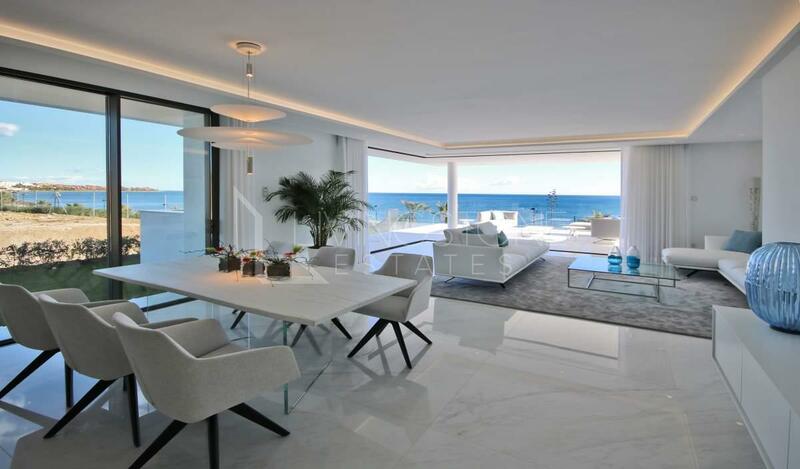 On an almost 20.000 m2 front line beach plot of land,the complex is gated with 24 hrs security, just 6 small blocks, comprising only 28 amazingly large 3 & 4 bedroom residences and exclusive access to the beach. 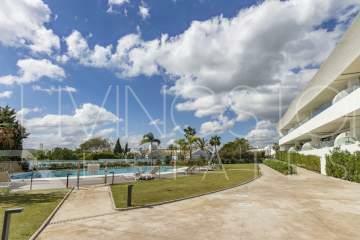 The communal pool is heated all year round. 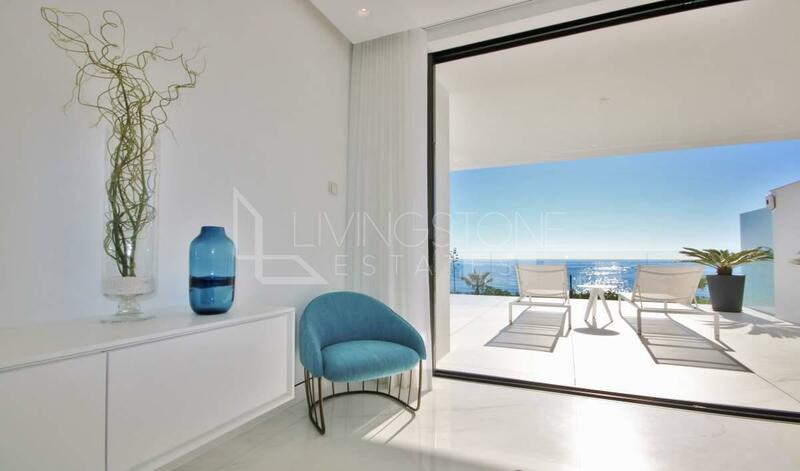 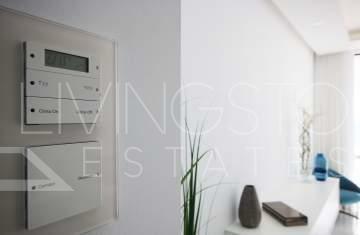 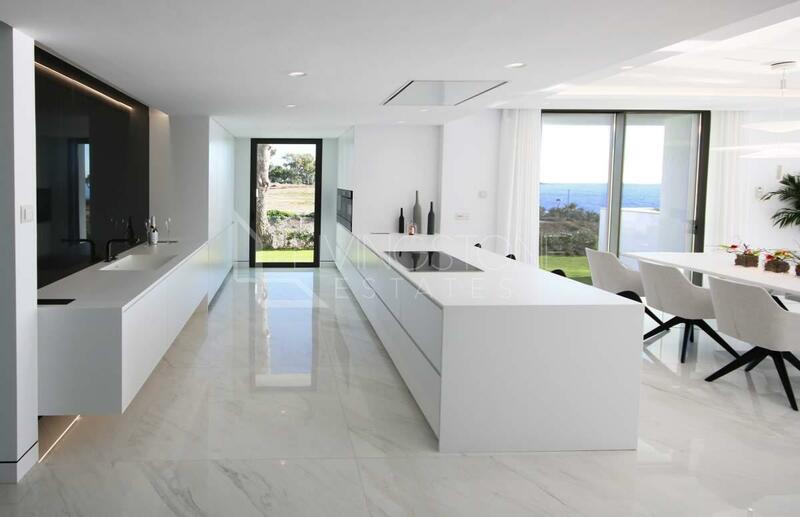 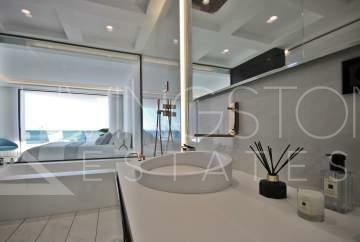 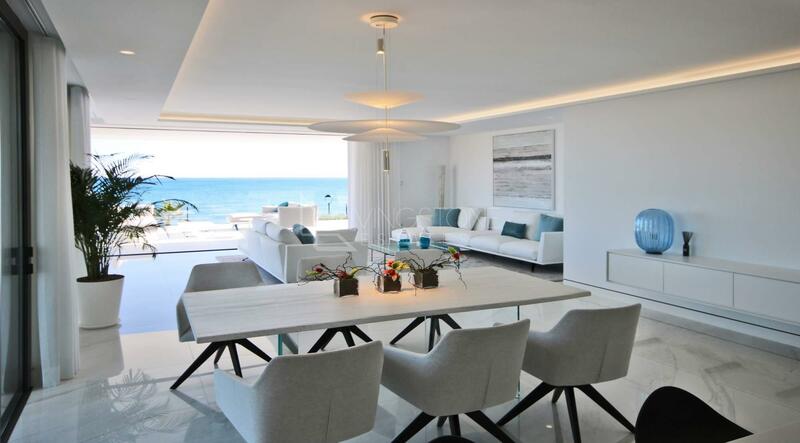 The property is very spacious, with bright and luminous living areas, fitted modern walk-in wardrobes, underfloor heating, domotic system and panoramic sea views. The apartment offers a modern kitchen with Porcelanosa countertop and Miele appliances, all floors and bathrooms from Porcelanosa luxury collections. 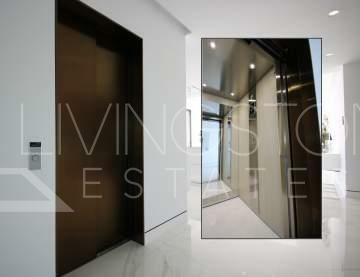 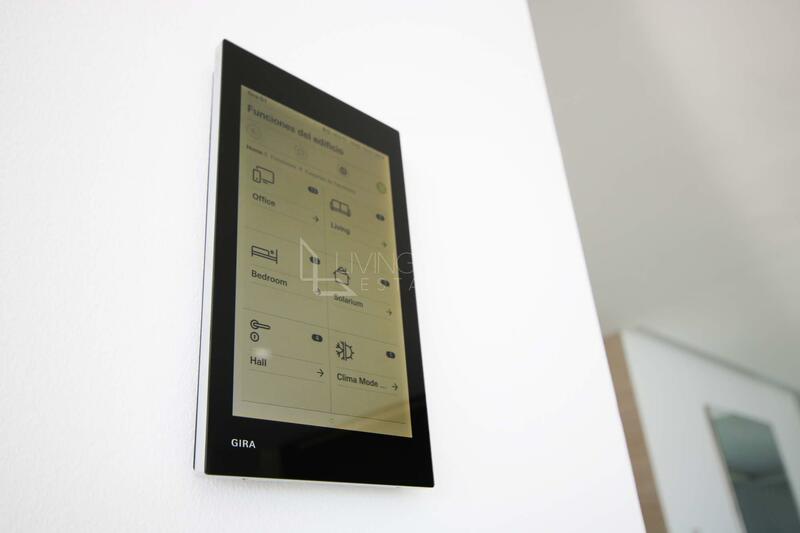 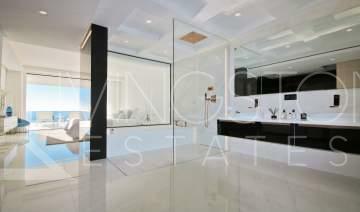 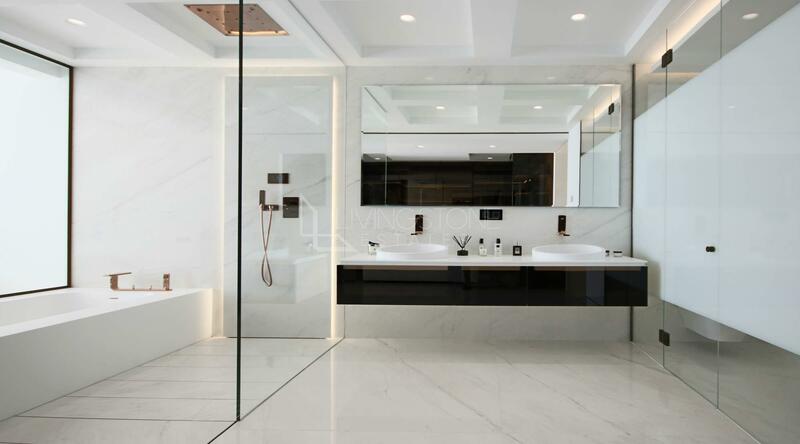 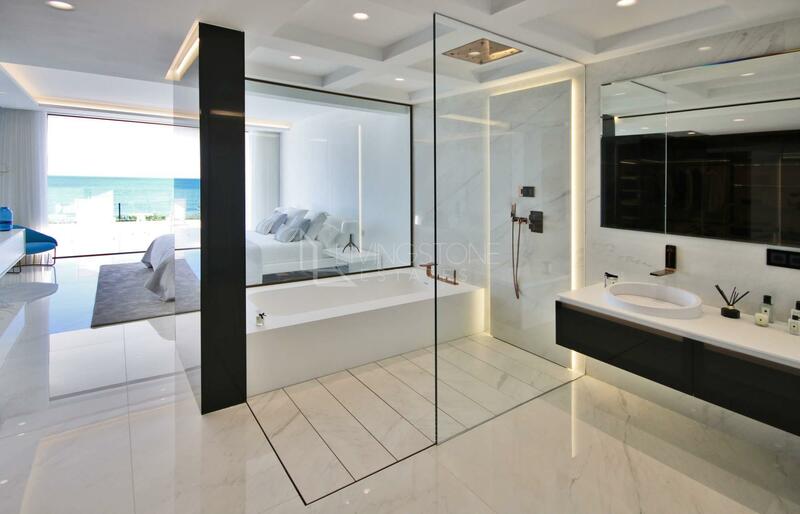 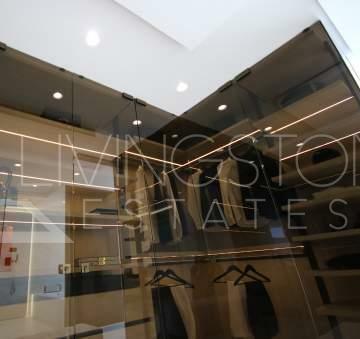 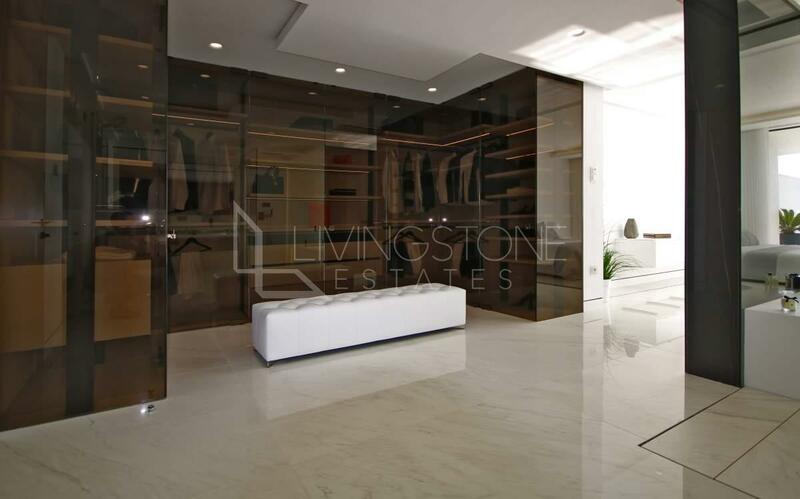 The apartment includes 3 large parking spaces, with direct access into a private “basement-storage”, directly connected with the homes through a private elevator.